Hello friends, it's no longer news that the famous MTN double data trick that works without changing imei has stopped working. It's quite disappointing though, because this cheat has been helping many for over a year now. You'll agree with me that it's one of the best plan out there. 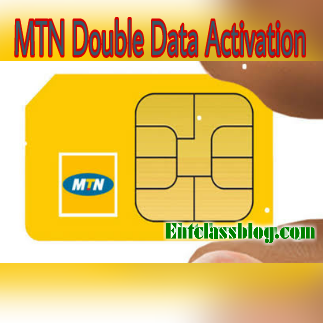 I have received numerous messages and mails if there's any other alternatives to activate the double data again, so finally, I have gotten another new step to enjoy MTN double data cheat again. This new step involves imei tweaking. Meaning you have to tweak your phone IMEI. I understand that not everyone loves tweaking or changing their phone IMEI but that's the only working way for now. It's simple, all you need to do is to tweak and change your Android phone imei to the imei number that I will drop in this post. For steps to change your Imei, kindly follow this post Here. Make sure you write down your original IMEI before tweaking. Add any 4 digits to make it 15 digits. Then use IMEI analyzer to confirm that the Imei is valid. On the off chance that you don't have the app, kindly download Imei Analyzer Here. 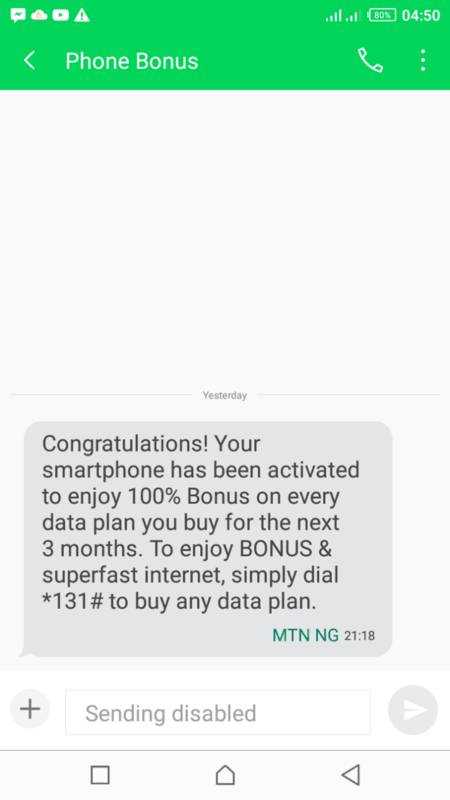 Congratulations, your smartphone has been activated to enjoy 100% Double Data Bonus on any data you purchase for the next 6 months. From henceforth, if you buy any data from MTN, you will be given twice the data. Data is valid for 30 days and can be used on any internet enabled device even on PC. 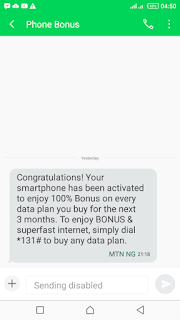 You will keep getting double data bonus for the next 6Months. To check your data balance, send 2 to 131 as a text message. That's all. Now you can enjoy your MTN double data cheat once more. Please don't forget to leave a comment below if it worked for you and also share this post. Leave a space between + and E, then send. Hello boss kachi, please I have tweaked countless times help me with your last imel so I can try and get a better result please I need this... thank you sir. nice one, thanks for this post,it will really help a lot of people. Nice one. I tweaked and my imei changed but no message from MTn. Do I retweak?. What do you suggest? Does the IMEI tweaking requires phone to be rooted? Bought a new Tecno Camon X and i got the double data offer. Your 'How to tweak imei" content is outdated. Am unable to download mobile uncle tools via the link you provided. I have updated the link. Check again. Hello bro after downloading MTK Engineer I went to connectivity part but I couldn't find cds information what do I do? What is the OS of your phone? Works well on Android 5.1 below. You can try using other apps that can change the imei for the version of your phone. Newer version of Android can't install apps like Lucky patcher, mobile uncle etc. While some phones can install mobile uncle but can't access Cds information. Oh oh! How do i do that, can i hav the procedure?